Creating Successful Innovation Hubs, presented by Global Action Platform in partnership with Vanderbilt University, Oak Ridge Affiliated Universities, and ATT, provided an in-depth look into three innovation hubs--Cortex in St. Louis, Innovation Park at the University of Notre Dame, and an emerging new hub in Hampton Roads, Virginia. The program was designed to showcase an emerging (Hampton Roads), a mid-career (Innovation Park), and a mature innovation hub (Cortex). 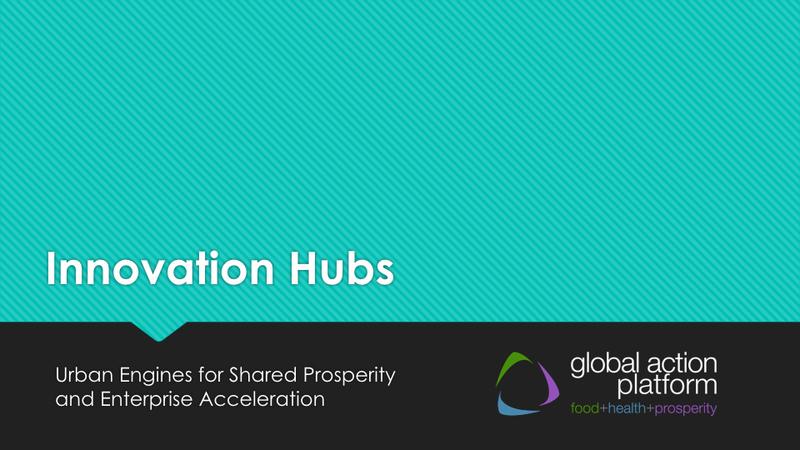 The Presidents and key leaders involved in these projects highlighted how the innovation hubs they lead were created, what challenges they faced, and lessons learned. The panel also made recommendations for the development of the Middle Tennessee innovation hub through Global Action Platform’s university-business partners at oneC1TY. Eight years of recovery and a remarkable resurgence in their downtowns and midtowns have given leaders a sense that they are “back” and that the need for any dramatic economic development move is not warranted. This obviously lessens the willingness to do the hard organizing and civic risk taking required for major initiatives. But that complacency does not always square with data regarding global competitive advantage, income growth, and fiscal condition. Yes many cities that were in decline for decades are now growing in terms of population and jobs, but they are still nowhere near where they need to be. And many other cities have either very uneven growth, or continue to decline, despite their prevailing narrative. This Showcase provided an opportunity for university, business, investor, and civic leaders to understand the critical need for investment and strategic cross-sector support for an innovation hub in Middle Tennessee to assure the long term economic vitality and shared prosperity of the region.